JUST REDUCED $5000. 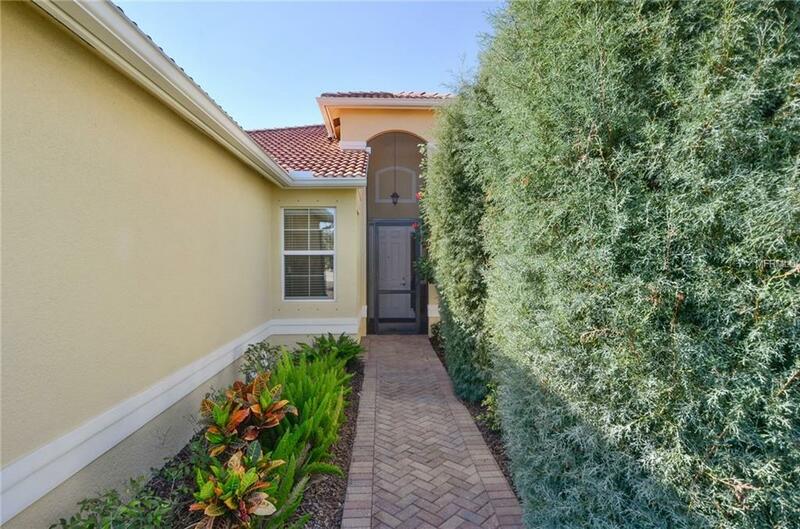 This spectacular home is lovely, starting with the covered screened front lanai and the 16' x 12' screened and covered back patio that has a serene setting. This is the most popular villa, the" ISABELLA GRANDE", that the builder has discontinued building. Flooring is ceramic tile on the diagonal and carpet in bedrooms. Gourmet kitchen upgrade with granite countertops, upgraded cabinets, and a china closet plus lighting above and below cabinets. All windows are double paned. 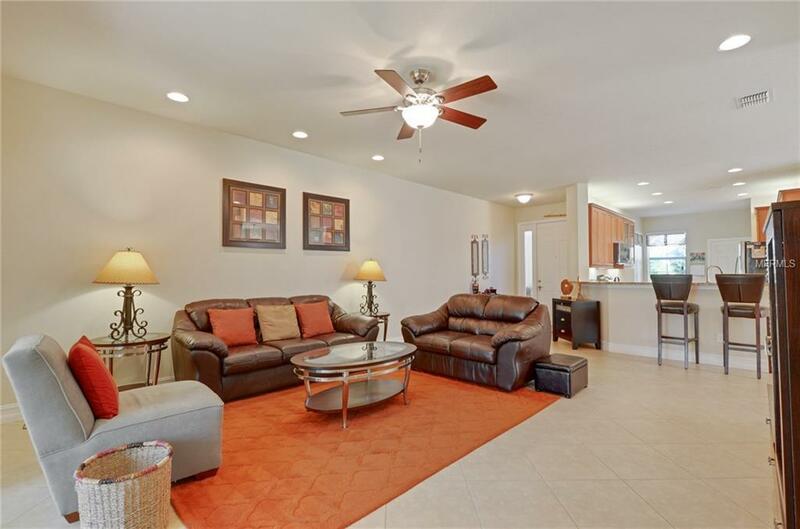 What makes this home special is the separate "Formal Dining Room". This home also has decorator fans and light fixtures. Both baths have Corian countertops and upgraded faucets. The garage is 21' wide x 20" deep, the largest garage of all the villas. This home has a water softening system. Also this villa sits on a large lot giving you plenty of space on the side of the home.There are hurricane shutters. The home exterior will be painted by the HOA in 2019. 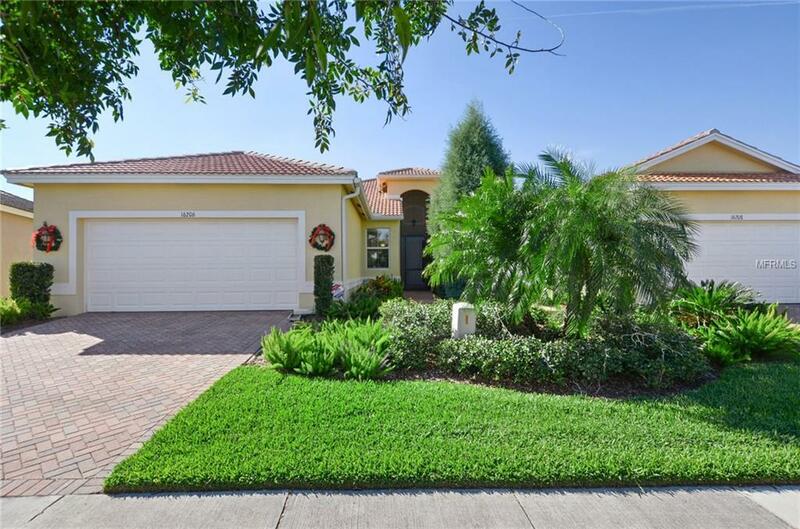 The best part is that this home is in beautiful Valencia Lakes with a 40,000 S.F. clubhouse including a 5000 S.F. state of the art fitness center along with aerobic rooms, sauna and steam rooms, and many amenities for the active adult.The community also has tennis, pickle ball, and bocce courts as well a pool table room. The "Bistro" has breakfast, lunch , and some dinners. 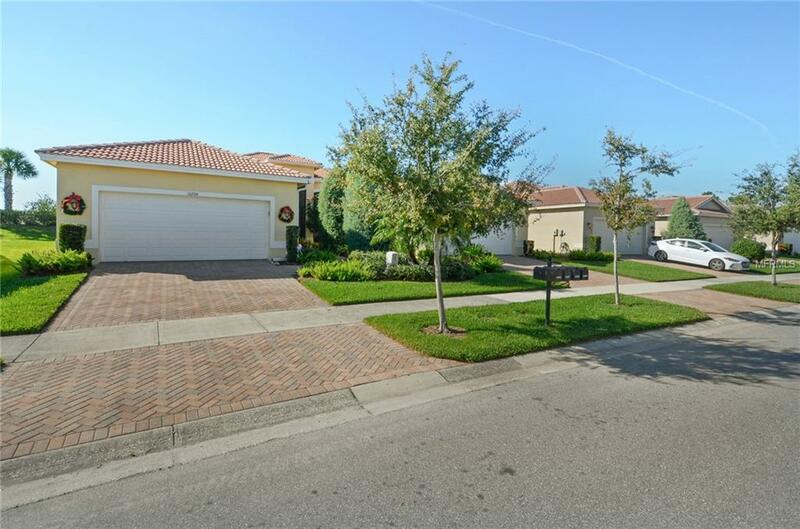 Valencia Lakes is the "place to be" and this home is a "must see".